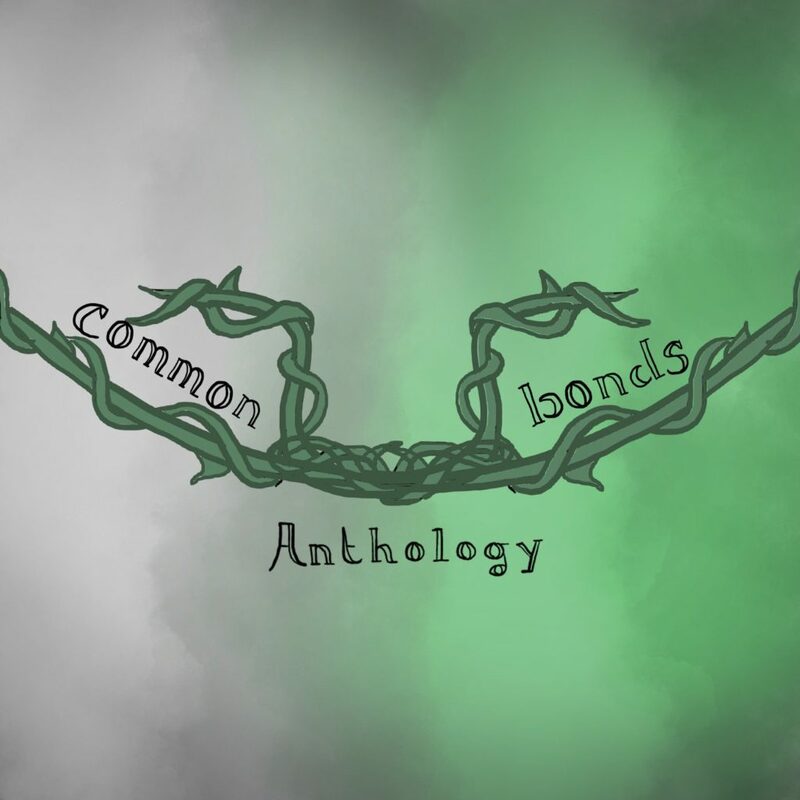 As soon as I heard about the Common Bounds Anthology project on Kickstarter, I backed it and knew I wanted to focus more attention on this amazing cause. Make sure to visit the Kickstarter page so you can donate! And find out more information on the website. What are your goals for this anthology? I hope it’ll be touching and funny, that we can build a coherent series of fiction that reflects the varied and complex ways through which aromantic people form relationships and their importance in our lives. It’s obvious we’ll never cover the full aromantic experience, that’s impossible, but I really want to have a good mix of representation in there (allosexual aros, arospec people, etc. ), and I hope we’ll feature authors from different marginalized backgrounds, too. Overall, we really want to have an anthology that has a positive vibe, centers important relationships, and explores aromanticism within their context. Can you talk about the inspiration and the journey of the project from inspiration, to finding writers, to the Kickstarter? The first time I thought about building an anthology like this was while I was promoting City of Strife in the month before its release, back in 2017. I’ve always had so many thoughts about platonic relationships, which really make up the heart of the novel, and it released during Aromantic Awareness Week, so the two elements kinda combined into this concept. It wasn’t until the next year we started talking about it, though, and that I got together with B. R. Sanders, RoAnna Sylver, and Cit Callahan to turn the dream into a more concrete projects. Then we outlined the kickstarter, invited a first round of aromantic authors we trusted to submit ahead of time, then launched into the funding proper. It’s been a good journey, and I’m looking forward to the rest of it. What are your top five platonic/aro relationships? Oh that’s a hard question! I’m gonna put them in no particular order, because ranking them is too cruel. Zuko and Iroh, in the Avatar the Last Airbender. I just absolutely love everything about it–the mentorship, the growth in their relationship, the kindness and patience Iroh has, the sheer love Zuko has for his uncle, despite all his anger. It’s amazing. Wasp and the ghost, in Archivist Wasp. Two prickly characters who slowly learn to trust each other while searching the realm of the dead for the ghost’s missing partner? All the while slinging deadpan retorts at each other? Yes, please. I love these two so much, and the sequel was almost unbearable, it had so many Good Friendship Feels. Cheris and Jedao, from Ninefox Gambit. It seems I have a thing for ghost-like figure with a complex and dark military past connecting with someone else lol. This one has the bonus of running a sort of opposites thing–Cheris is a math genius with deep loyalty, Jedao is a charming, sneaky general known for turning on his soldiers and killing millions, and he has dyscalculia. There is such a depth here, it’s really hard to explain, but she keeps a light on for him at night and that killed me. These two against the world is all I ever wanted to read about. Pippin and Merry, from the Lord of the Rings. I love these two troublemakers so much, and their growth in the second and third LotR books always grips my guts and twists them. They’re funny, they’re touching, they’re so there for each other, both for pranks and terrible mistakes. All the hobbits really make my platonic-lover heart sing, but none more than Pippin and Merry. Adèle and Emmanuelle Duclos, from Baker Thief. OK it’s kind of cheating to talk about my own, but I poured so much of my love for my own sisters in this one, and so much of my family’s dynamics. Immediate family has been a huge part of my life, and these two reflect that (so do the twins in the same novel, really). I wouldn’t be building an entire anthology of platonic relationships if the one I wrote didn’t matter so much to me. Do you have any further plans for if this anthology does well and becomes fully funded? Beyond this anthology? Not really. We’ll build the anthology and get it in everyone’s hands, but at the moment, that’s as far as our plan goes. All four of us have a lot of personal projects to work on, too, so we’ll keep doing our thing after that! Claudie Arseneault is an asexual and aromantic-spectrum writer hailing from Quebec City. Her love for sprawling casts invariably turns her novels into multi-storylined wonders. Her latest, Baker Thief, explores the way romance tropes can be reimagined for aromantic characters. Claudie has previously edited another anthology, Wings of Renewal: A Solarpunk Dragons Anthology. She is a founding member of The Kraken Collective, an alliance of indies publishing queer speculative fiction, and is well-known for her undying love of squids. In the aromantic community, Claudie is best known for her database of aromantic and asexual characters and her analytical essays on aro and ace representation. This work provides her with a good overview of the current landscape of representation for these identities. What is your favorite anthology?